Karaoke coming to Saturday Nights in Feb! 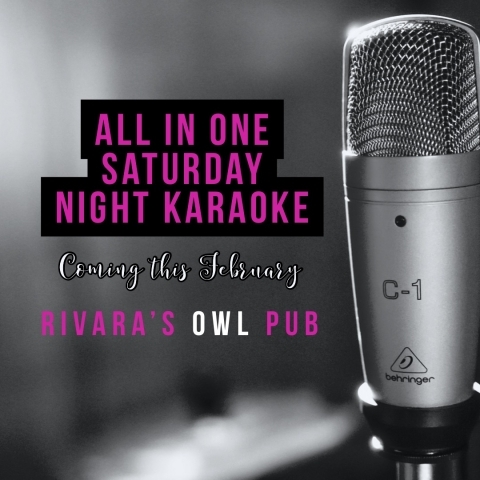 All In One Karaoke is coming to Rivara's this Feb! We are so excited to welcome Michelle back as the host! Get ready to sing your butts off! !